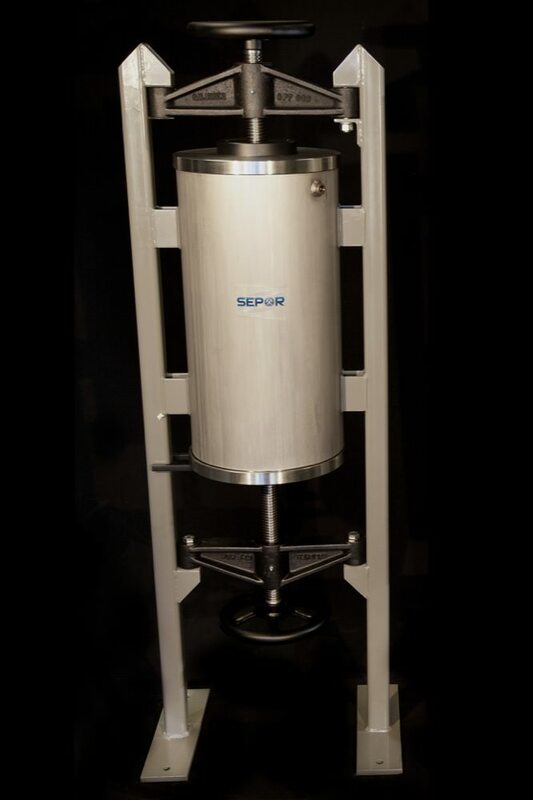 Sepor’s Floor Mounted Batch Pressure Filters are manufactured for batch filtering of slurries under pressure, up to 75 PSI. They offer a quick, convenient method of dewatering slurries, in two sizes, 11.5 gallon and 3 gallon capacity. The floor mounted pressure filters feature a screw jack lid opening and closing mechanism, swing away design for filling, inspection or cleaning. 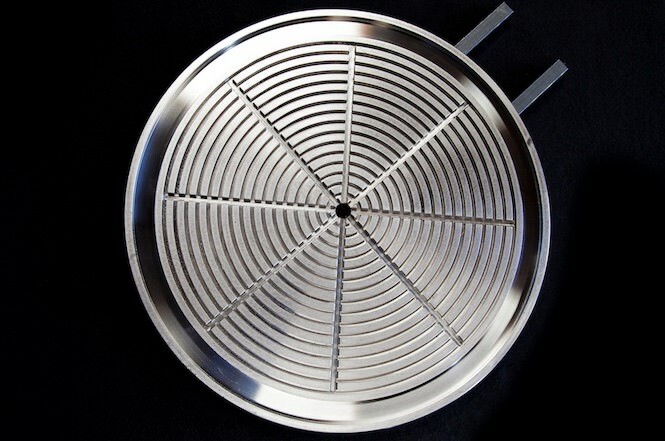 The base plate with the filter grid has the same screw jack opening and closing mechanism and swing away design for easy removal of the filtered solids. Also included with each pressure filter is a filter cloth, a package of 100 high wet strength filter papers with a 25 nominal micron pore opening, internal piping with pressure relief valve, pressure gauge, bleed off valve, and drain valve. All that is required for operation is a slurry, and a source of compressed air (at least 1 CFM @ 60 PSI). 070B-001 11.5 Gallon Floor Mounted Pressure Filter, Mild Steel 400 Lbs. 070B-003 11.5 Gallon Floor Mounted Pressure Filter, Stainless Steel 400 Lbs. 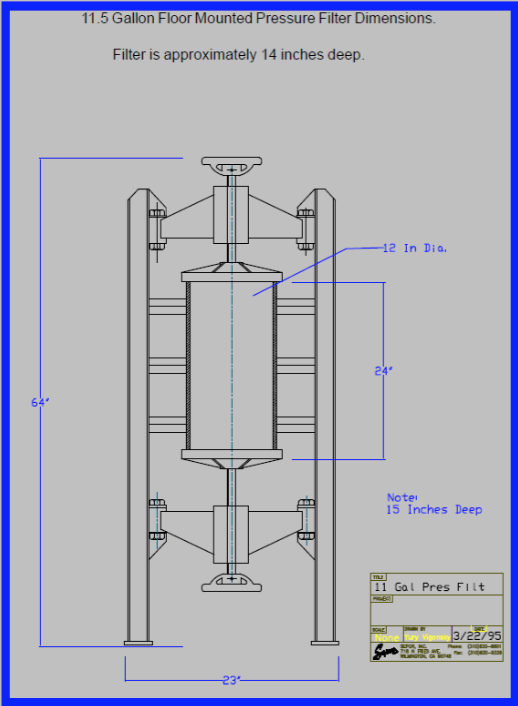 070B-055 3 Gallon Floor Mounted Pressure Filter, Mild Steel 350 Lbs. 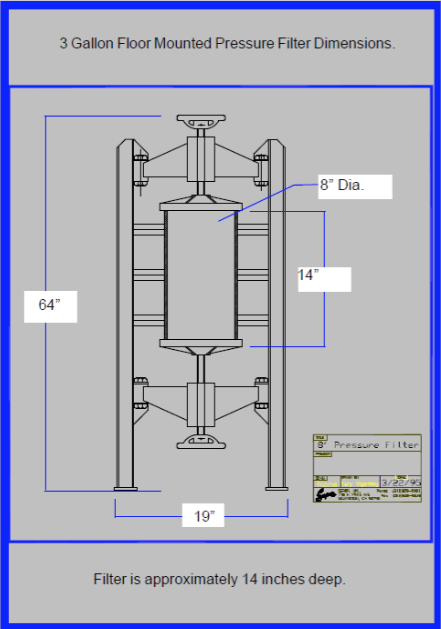 070B-056 3 Gallon Floor Mounted Pressure Filter, Stainless Steel 350 Lbs. 070B-005 Filter Cloth For 11.5 Gallon Pressure Filter 0.5 Lbs. 070B-007 Filter Paper For 11.5 Gallon Pressure Filter 0.5 Lbs. 070B-011 10″ dia. Filter Cloth For 3 Gallon Pressure Filter 1 Lb. 070B-012 10″ dia. Filter Paper for 8″ Filter (3 Gallon) (100ct) 1 Lb.